MAKERERE – Makerere University graduates have launched maiden audiomentry application to help the hearing impaired patients. Wulira app, a mobile application that is accessible on android phones was built to help patients that run the risk of hearing loss to determine how far the hearing loss has gotten. The application works based on the principles of pure tune audiometer, according to developers. The app makes use of sound waves and frequencies to determine how bad a patients hearing loss has gotten. 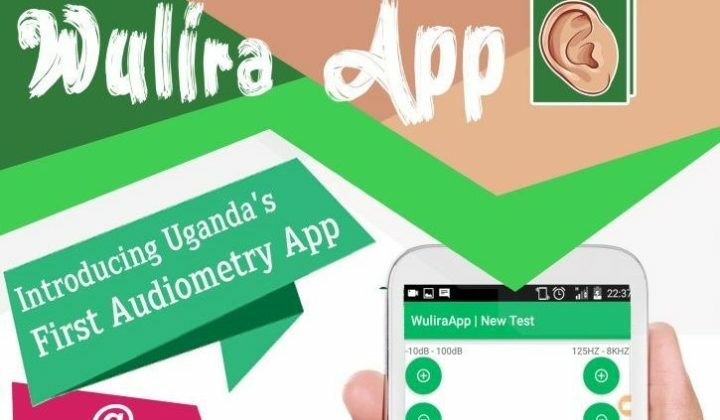 Wulira app makes use of sound frequencies ranging from 125 hertz to 8000 hertz and also amplitudes ranging from zero decibels to 100 decibels. Some hospitals are already using it in the field, every time you play a sound on the Wulira app the patient reacts or responds to that sound depending on if they heard it or not. The good thing about this app as mentioned by one of its developers is that you don’t need to be physically present to get a diagnosis from an audiologist, once the results are gotten from the assessment you just need to share the result to the audiologist and this can be done from anywhere you are as long as you have an android mobile phone. Josephine Likichoru an audiologist in Kampala said the applications has passed most of the tests and that it will soon be rolled out. “Everyone has a phone. Almost all the doctors have smart phones. So you can test the patient wherever you are, and the good thing with Wulira is that you can be able to send the results to the audiologist to interpret for you or to advise you, remotely, you don’t have to be where the patient is,” she said of the application. The app is still going through the validation process so for now it is not being used in health centres but a few doctors are sampling it in their clinics. It is only available on android devices for now but founder of the app Dr. Charles Batte assured that the app will become available to other devices in the next phase. At the 2018 World Health summit the Wulira app was named one of the top ten tech startups of the year.